As a born and raised Southern Californian, I have to just laugh when it's almost mid-November and we still have high 90s temperatures. While others are in the depths of snow or colder weather, Southern California is still enjoying sunny days and summer-like weather. I'm used to it, of course. I don't fully change my skincare routine until mid-December/early January, when I feel like we're finally starting to get some of the long lost Fall colder temperatures ('colder' for a Southern Californian, I mean!). While I'm waiting for that time, I still like to change up my routine as much as I'm able to. I recently got some new skincare in these past two months that I've been really enjoying using and incorporating into my routine: Clé de Peau Beauté Cleansing Clay Scrub, Omorovicza Queen of Hungary Mist*, and 100% Pure Brightening Serum*. For those who follow me on instagram, you know that I'm no stranger to Omorvicza products. I'm an avid lover of their Deep Cleansing Mask, Ultramoor Mud Mask, and Cleansing Foam. I especially love the two masks, they work exceptionally well with my oily skin type and really get the grit and impurities out of my skin. If you are not familiar with Omorvicza, they are a Hungarian luxury skincare brand that sources from mineral-rich thermal hot spring baths. Hungary is located on the Carpathian Basin, which has a very thin lithosphere and is known as one of the hottest basins in Europe. The thin lithospheric thermal basin allows for an abundance of natural hot spring water to rise to the surface from deep in the Earth's core. As I explained in my most recent post about Amayori Rituals, hot springs have nourishing mineral properties and can help with treating numerous internal/external ailments. These Hungarian mineral-rich hot springs are special due to their rich history (from Roman and Ottoman Turks), geographic location, and importance in Hungarian spa culture. 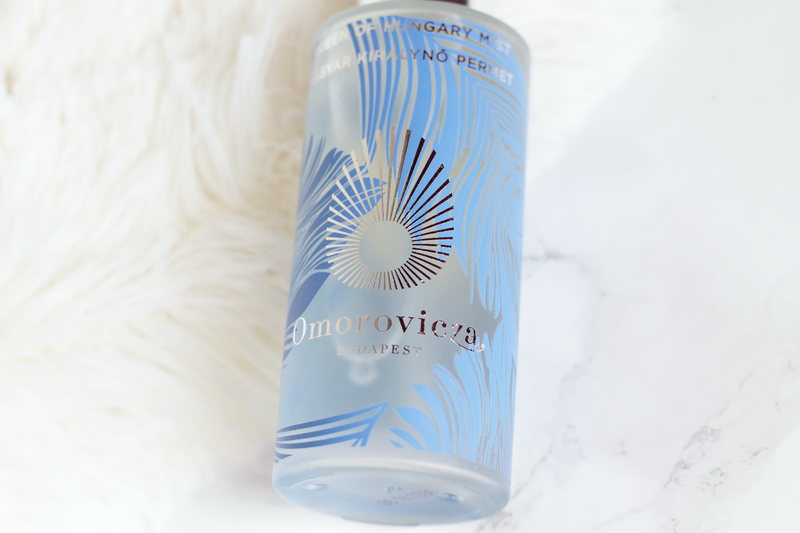 After absorbing this information, you can easily see how unique of a brand Omorovicza is. One of their most popular and well-known products is their Queen of Hungary Mist*. They recently came out with a limited edition bottle to celebrate their 10 year anniversary, as they first opened their doors in Budapest in 2006. The bottle design is inspired by the peacock feather, which is a motif that's seen in Art Nouveau architecture in Budapest. The mist includes ingredients like cooling neroli and rose to refresh, purify, and hydrate your skin. This smaller size is great for travel and quick touch ups (their larger size is 3.4oz for $90). It's recommended for combination/normal skin but I really think all skin types can truly enjoy this beautiful mist. Their products are paraben and silicone free, and are fragranced with natural scents crafted in the perfume capital of the world, Grasse, France. You can see a list of what ingredients they do not use in their products here. This product was one of the first things I ever tried from Omorovicza, the first being their Foaming Cleanser that I still love to this day. You might think that this is a lot of money for a mist but understanding the true properties and uniqueness of this product really helps to calm any worry I have. This mist includes fermented Saccharomyces and Chlorella Vulgaris/Lupinus Albus Protein Ferment (a liquid obtained from Lupinus Albus Protein fermented by Chlorella Vulgaris algae), both being wonderful hydrating agents. There are multiple upon multiple studies on using fermented ingredients for improving skin health, one being here that highlights its hydration benefits. You're not only getting the mineral rich Hugarian thermal water, but also the inclusion of other waters from Rose Damask, Sage Leaf, and Orange Blossom. It also includes Apple Pectin, which has been studied to have anti-aging affects (specifically its properties from enzymatic hydrolysis: Galacturonic Acid and Oligogalacturonides). Phospholipids are effective hydrating and anti-aging agents due to their non-occlusive, hydrophilic, and natural humectant benefits. It uses Hydro Mineral Transference, a patented mineral delivery system created by Omorovicza that addresses the extent to minerals being deeply absorbed into the skin. Through bio-fermentation, the molecular structure of the water is reconfigured, resulting in complex molecules being more bio-available (allowing easy absorption into the epidermis). This light, floral blend is calming and soothing to both your skin and senses. I love using it in the morning, it's the perfect scent and moisture that I need. If you take a look at the spritzer, it's really quite unique in itself! It distributes the perfect amount of water out that allows you to cover more skin surface very easily. 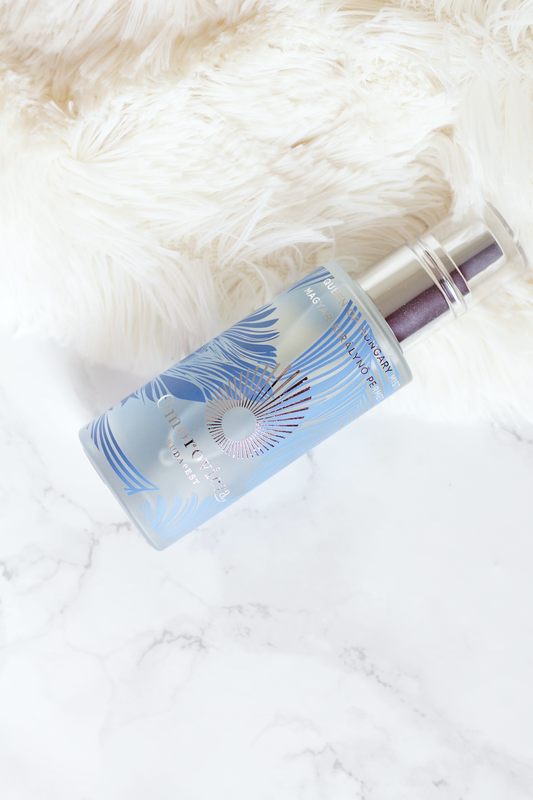 I find that I don't need to apply this a bunch of times like I would with other mists, 3-4 spritz is really what I prefer to use (I do go heavy handed though since I love this so much, sometimes 5-6 spritz!). It's also so finely compressed that you don't feel like there are huge chunks of water being sprayed at your face. 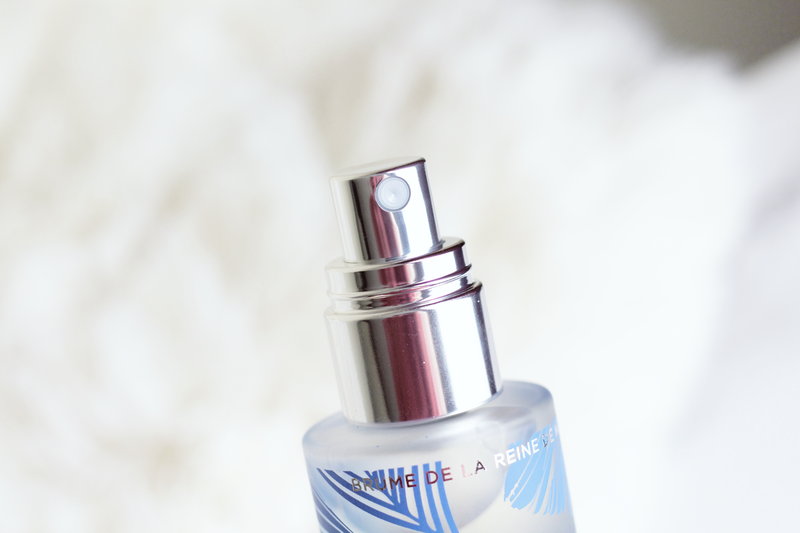 It's very light and airy, it's softly released and falls carefully onto where you spray it. Seeing as this is a smaller size, you might need a few extra spritz of it to encompass your whole face and specific concentrated areas. With a larger size you really can just douse yourself in it (I've done many times!). After it's been applied, I feel an instant pick-me-up and any skin irritation I feel starts to go away. The reason why I like to use this in the mornings is that I don't feel the need to really pack on a lot of the product, compared to my night routine when I really like to use a lot of hydrating products and prefer to be heavy handed. As I've mentioned, this is a light mist so you're not going to be getting that kind of heavy application. If you have very dry skin then I think you will still like this but will need to spray more of it than others. I really adore this mist, it's a lovely size and is so unique. I really think it's in my top five face mists! 100% Pure is a brand that I've always wanted to try. They are a Northern California green beauty brand that is 100% natural, vegan, organic, and cruelty-free. All of their products are free of artificial colors, artificial fragrances, synthetic chemical preservatives, and possible harmful toxins. They are founded on the belief of providing healthy skincare products by using only the highest quality ingredients. They are very big on philanthropy and are Leaping Bunny cruelty-free certified. I've seen this brand all over social media and was so excited to be able to try this product out, complementary of Good Earth Beauty. 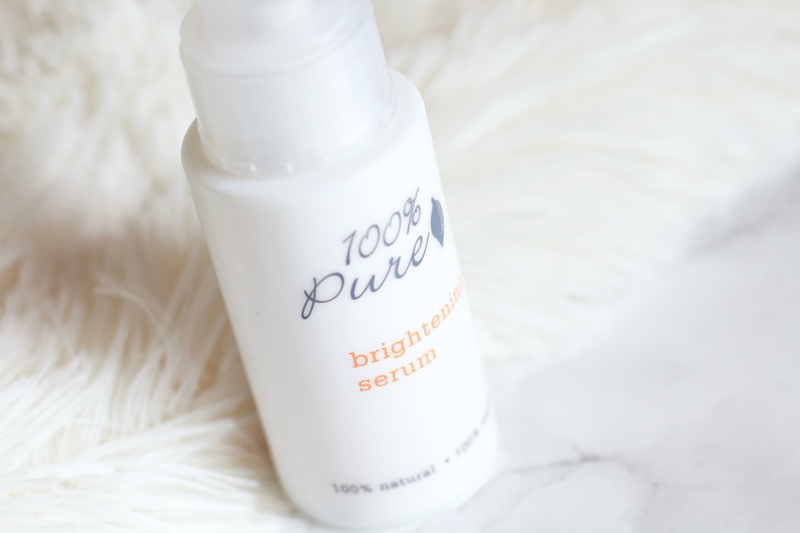 100% Pure's Brightening Serum* enlivens dull skin for a luminous complexion. It uses all natural, gentle ingredients like bearberry, kojic acid, sake, fruit acids, licorice, vitamin C, lemon juice and strawberries for its brightening effect. 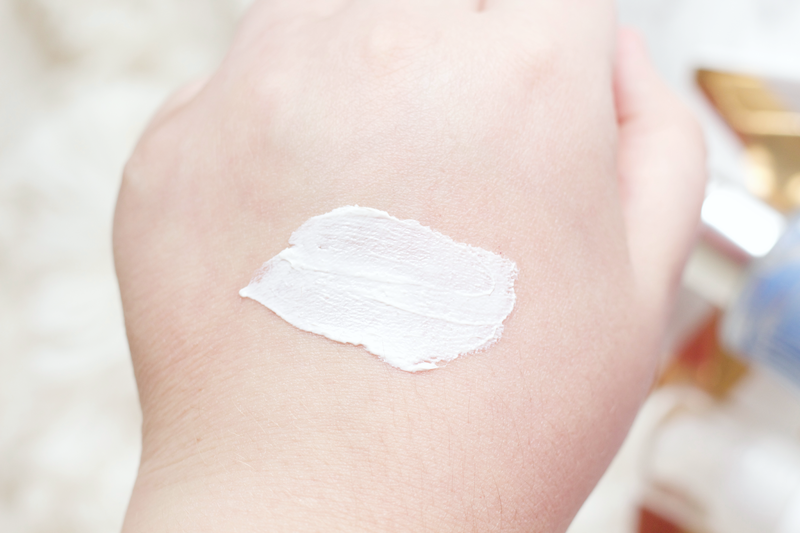 The product itself is a gel-based cream color that is on the thin side, it absorbs very well and it can easily be spread out without much product due to its consistency. The pump dispenses a small dollop of the product, so you can control how much you'd like to use (the swatch picture shows about 2-3 dispenses of the product). Since it is basically a gel-lotion type, I've been loving this at night when my skin feels a bit dehydrated and irritated from all the actives that I use. The product is housed in a white, heavy container that is very aesthetically pleasing to me personally. The main problem I have with its packaging, however, is that the plastic top can easily come off. I think they should invest in better packaging because I have to be careful with this and where I put it, especially if I'm traveling. It doesn't have any system that locks the pump in place, either. Regardless of packaging woes, I really enjoy using this product! It smells somewhat herbal (?) and is not strong at all. I don't know if I would say that it's given me any real substantial brightening benefits, but it definitely acts as a 'luminizer' of sorts. 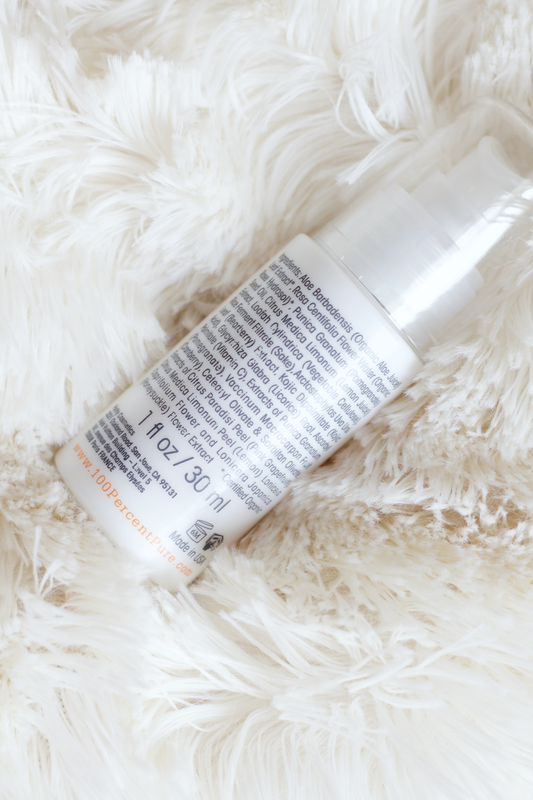 When I wake up the next day after using this, I can tell that my skin has a bit more luminosity. I have also used it both AM/PM routines but I love using this mostly at night. If you're looking for a drastic change in your skin, this product won't give it to you. I mostly enjoy this product because it moisturizes my skin and has a very cooling sensation. The ingredients are impressive as a natural product. Organic Aloe is at the forefront by its leaf juice base, and Rose Hydrosol follows right after it. You have a multitude of botanical and plant sources, some of my favorites being Rice Ferment Filtrate and Kojic Acid (from sake), Licorice Root, Pomegranate Seed Oil, Cranberry Fruit, Japanese Honeysuckle, and Bearberry Extract. The Vegetable Cellulose creates its consistency and emulsification, which keeps the oils and waters together in the product. I like the inclusion of Ascorbyl Palmitate as a Vitamin C ingredient (rather, it's a Vitamin C ester), as it's a non-acidic molecule from Ascorbic Acid (Vitamin C) and Palmitic Acid (Fatty Acid). Due to the Palmitic Acid, it is lipid soluble, which means that it can "penetrate the skin and deliver antioxidants faster than water soluble forms of Vitamin C." The positive of this action is that it "helps prevent cellular aging by inhibiting the cross-linking of collagen, oxidation of proteins, and lipid peroxidation." As some may know, there are two base types of Ascorbic Acid: L-ascorbic acid and D-ascorbic acid. L-ascorbic acid is the chemically active form of Vitamin C and D-ascorbic acid is the inactive form. Using Vitamin C in cosmetics is a complicated business, as it can become unstable and oxidize quite quickly. Luckily 100% Pure uses ingredient protective packaging so that light cannot penetrate and lessen the ingredient's quality. Ascorbyl Palmitate is not the most stable Vitamin C ester compared to MAP (Magnesium Ascorbyl Phosphate), but it is more stable than L-ascorbic acid (has to be at a pH lower than 3.5 to be effective). Ascorbyl Palmitate as a derivative is also less irritating than L-ascorbic acid, making it a great ingredient for both sensitive and acne-prone skin. 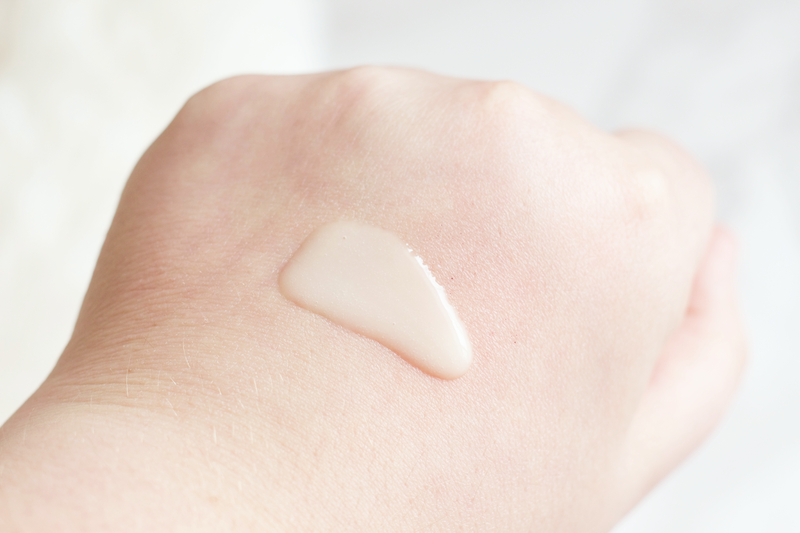 You definitely can tell that a lot of thought when into formulating this product to make sure that it would be easy to use for a range of different skin types. In my opinion, this is less of a serum and more of an emulsion. The word 'serum' in green beauty can be varied, since there are numerous kinds of serums like oils and lotions. They drift away from the 'traditional serum' we're so used to, in my opinion. 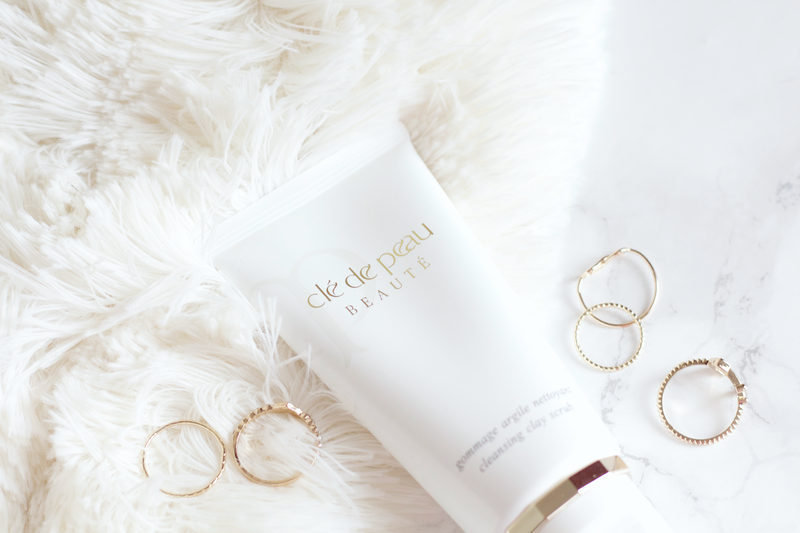 Clé de Peau Beauté is one of my favorite Japanese beauty brands. I'm obsessed with their eyeshadows, blushers, and lip products (the new Radiant Liquid Rouge Lip Lacquers are beautiful!). I've always wanted to try their skincare products but have been put off by the prices. A few months ago they came out with a new line of cleansers (and few other products), so I thought that it's finally my chance to try them out! Luckily they were having a great GWP campaign and I managed to snag a deluxe size of their Cleansing Cream Oil. 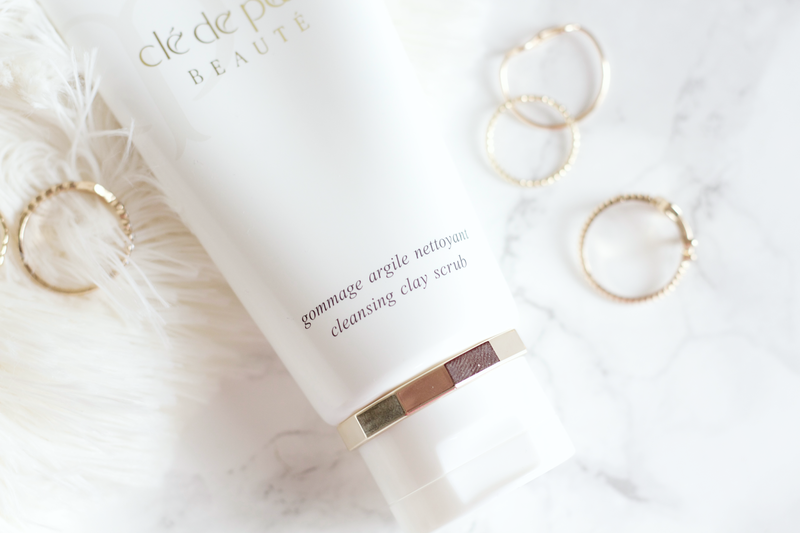 Today I'll just be talking about their Cleansing Clay Scrub because I've been using it a lot more than the Cleansing Cream Oil (review of this is coming soon, though!). This is a kaolin clay based cleanser that delicately exfoliates while removing impurities from the skin. It is very creamy and has small granules to help exfoliate. It has quite a strong fragrance (natural rose and orchid), so those who are sensitive to fragrances might not like this. I really like this exfoliator, I find that because it's so creamy I can use it every other day if I want to without it irritating my skin. My skin feels super soft and nourished after using this. I only need about a quarter amount to use all of my face and it emulsifies really well with water. It uses an Illuminating Complex EX made with silk and pearl elements to help moisturize and retexturize the skin, along with a mixture of natural kaolin clay, minerals, and soft granules that distribute evenly during application. It doesn't strip the skin of any of its natural hydration, either. It uses silk protein derived L-Serine, an amino acid that helps develop Phospholipids, that works as a skin conditioning ingredient. Dipotassium Glycyrrhizate is a salt derived from the licorice plant, functioning as an anti-irritant with "anti-inflammatory and skin soothing capabilities." This product also includes Zinc Oxide, a natural ingredient you might be familiar with when it comes to sunscreen and UVA/UVB protection. I'm not sure how well this would work for skin protection considering this is a wash off product, but I do feel at ease knowing that this is included. I think it's a good size for the price, considering that Kate Somerville Exfolikate sells for 2oz for $85. However, $65 is still pretty pricey for an exfoliator. You're not only paying that amount for the brand name but also for the luxurious packaging, too. Regardless of these facts I probably will buy this again. It's an effective product and I don't own anything like this that both nourishes and exfoliates my skin. I'm not irritated by the perfume fragrance at all and I can tell that my skin really enjoys using this! 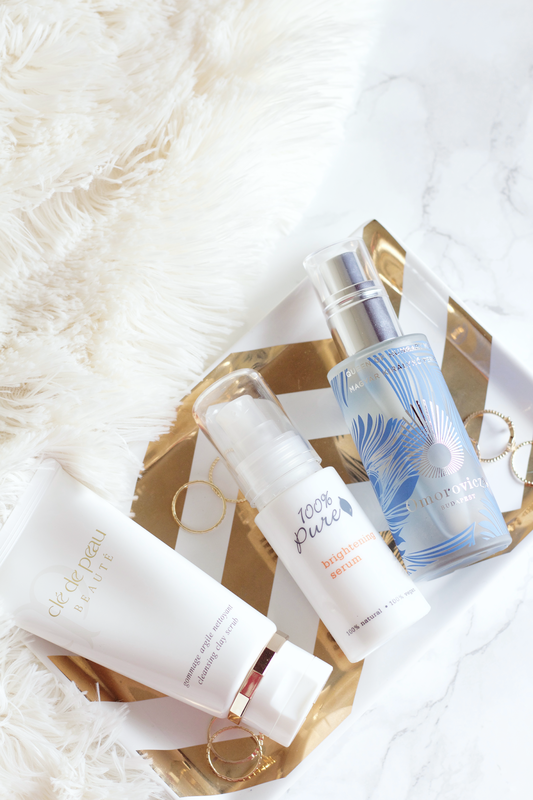 These are just a few skincare bits that I've been liking to use as of late! Do you own any products from these brands? Which one would you like to try the most?